The February 2019 Contest is to recreate a famous landmark with any number of 5mm or 2.5mm magnet spheres. The landmark is up to you, as long as it’s on this list of top 150 landmarks. 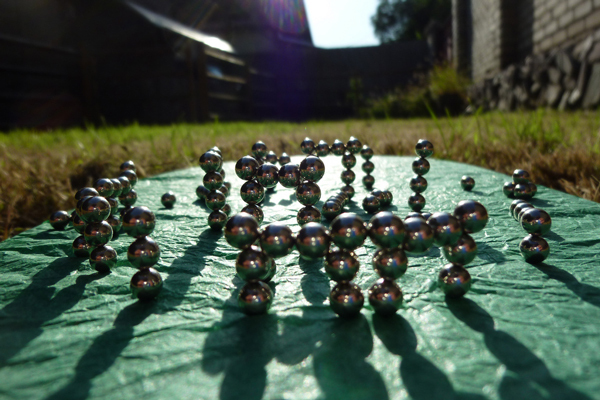 Using any brand of magnet spheres, (e.g, Zen Magnets, Neoballs, Micromagnets) recreate the wonder to your best ability. There is no limit to the number of magnets, but how many do you really need? We’ve got a very successful Eiffel Tower utilizing a mere 216 magnets. Here’s some prompts: Statue of Liberty, Mount Rushmore, Arc de Triomphe, Sphinx, Rapa Nui (Easter Island), Leaning Tower of Pisa, St. Basil’s Cathedral. Think iconic! Landmark named must be on this top 150 landmarks list. As usual, the judges will be your peers. Pay attention to resolution, focus, lighting as framing. Use not your bright reflective flash, but instead a self timer and a tripod (or stand.) Sharp, high resolution pictures are preferred. $300 in prizes is up for grabs and distribution will depend on participation. There will be at least six winners. Prizes will be announced with judging. Everything you submit goes into the public domain. Most importantly, have fun! Submission deadline is February 28th, 2019.